Reach Delhi airport/Railway Station. Pick up and depart for Mussoorie surface approx. 290Kms. Enroute visit Haridwar and attend the Ganga Arti (Har ki Pauri). After that Continue drive to Mussoorie. On arriving transfer to hotel & check inn at hotel. Overnight at hotel. ( Night Stay can also be made at Haridwar)Optional- Visiting Mansa Devi Tmeple in Haridwar. Morning after breakfast visiting Falls & Lake in Mussoorie. After that depart for Barkot surface approx 190 kms. Kempty Falls on the way. Evening reach Barkot and check in into hotel in Barkot & Leisure. Overnight at hotel. Optional- Visit local temples and market of Barkot. Early Morning leave for Hanuman Chatti by surface approx. 32 Kms. Start your journey by trek or Jeep. Optional- Take a local jeep to reach Phool Chatti to shorten your trek by 5 Kms. 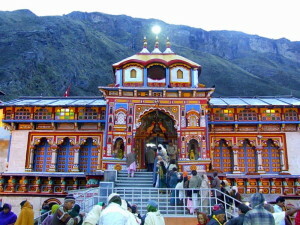 On arrival Pool Chatti, start your day with a tough trek of 7 Kms .Arrive at Yamunotri and pray at the temple. Come back to Barkot in the evening. Overnight stay at hotel. After breakfast, leave for Harsil, a drive of 152 kms. En route, stop at Uttarkashi for lunch. On the way stop at Gangnani for a hot water spring dip. Continue drive towards Harsil, one of the most beautiful valleys in the world, and arrive at the Char Dham Camp, set amidst an apple orchard in Dharali village, 2 kms away from the Harsil cantonment. On arrival check in for overnight stay. After breakfast 25 kms drive to Gangotri and on arrival take a holy dip in the sacred river Ganges, also called Bhagirathi at its origin. Perform Pooja after that and relax for some time in the lovely surroundings. Afternoon- drive to Uttarkashi surface approx 60 kms. On arrival check in into the Hotel. After a very early breakfast, leave for Guptkashi surface approx. 145 kms. A late lunch is scheduled en route at Srinagar. On the way, see the heritage city of Tehri slowly sinking into the mighty waters of the Holy River Ganges, due to the construction of the Tehri Dam. After lunch, continue your journey and today for the first time see the beautiful river Mandakini. Travel alongside the river to reach Guptakashi late in the evening. On arrival check in into hotel. After breakfast leave for Rudraprayag by road to reach the Rudraprayag. On arrival check in at hotel Overnight stay at Hotel. After breakfast leave for Shri Badrinathji by surface approx. 135 kms. On arrival take the holy Darshan and spend time visiting Mana village -the last village before the Tibetan border. Return to the hotel for dinner. Overnight stay at Joshimath. Today very early morning leave for Rishikesh by surface approx. 290 kms. On the way stop for lunch at Srinagar. Continue the journey and if time permits, visit Devprayag ( The confluence of rivers Alaknanda and Bhagirathi, which become the Ganga). Reach Rishikesh and check in Hotel. LAter visit Laxamn Jhula and Ram Jhula and Ashrams as time permitted to same. Overnight stay at hotel. After breakfast visit Laxamn Jhula and Ram Jhula. After that leave for Delhi by surface approx. 260 kms. On the way visit Haridwar sightseeing. On arrival at Delhi transfer to railway station and drop for onward destination.